We are happy to announce the publication of our patent as a joint effort of Leibniz Institute of Polymer Research (IPF) and German Center for Neurodegenerative Disease (DZNE). The invention relates to a method for forming a functional network of human neuronal and glial cells, wherein the cells are introduced into a synthetic hydrogel system with the components polyethylene glycol (PEG) and heparin and are cultivated therein. The cells are introduced into the PEG heparin hydrogel system together with one of the gel components, either PEG or heparin, with which the cells were previously mixed such that the cells are already located in the hydrogel system during the formation of the three-dimensional hydrogel. 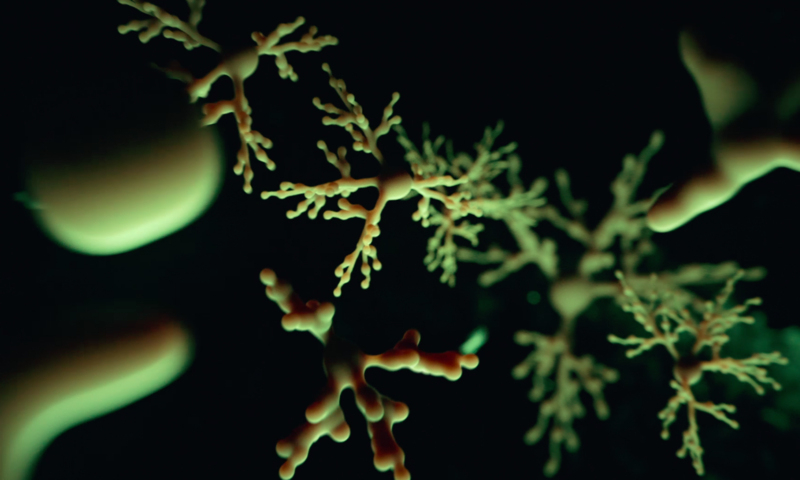 We believe that this method will be instrumental in modeling how human brains develop, neuronal cells are specified, how Alzheimer’s disease manifests, and what type of enhanced drugs can be designed for combating neurodegenerative diseases. We would like to thank our partners Prof. Dr. Carsten Werner and Dr. Uwe Freudenberg for excellent collaboration and support.